RedandJonny: Vithaya Pansringarm is God. I LOVE the first Karaoke song in Only God Forgives. I absolutely LOVE the sound of his voice. It seems to touch me somewhere deep in my bones. I don't know else how to describe it. I cant remember a song affecting me like this before. I don't speak Thai , so I have no idea what he was saying but I fell in love with that song instantly. I love the sound of his voice . I found the soundtrack, and played this song on repeat in my car, on the way to work and then on the way home, for a week. Its crazy, I know. . I contacted the actor who plays Chang in OGF, Vithaya Pansringarm, on facebook and he wrote me back! He said the songs name is: "Leum mai long" or "Wont Forget".. Not "can't Forget as its called on the soundtrack. It was popularized by a singer named Surapol Sombatcharoen. sometimes referred to as the "Thai Elvis". So then I found the lyrics at the Paknam web forums. mai-leum mai-leum mai leuan meuan deuan koo faa. Won't forget, won't forget and won't fade; like the moon that paired up with the sky. mai-leum rot rak tee koie faak-fang. Won't forget the flavour of the love that you'd ever entrust upon me. Won't forget the past that we had ever pass through. juap-jon chee-waa sin gor mai-leum. Till the end of life, I would also not forget. (Mai-leum mai-leum mai-leum mai-leum mai-leum mai-leum). (Won't forget, won't forget, won't forget, won't forget, won't forget, won't forget.). mai-leum mai-leum mai leuan chua deuan lae bpee. Won't forget, won't forget and won't fade, throughout the months and years. mai-leum rak rao tee-koie sook-san. Won't forget our love that was ever happy. mai-leum kwaam-fan meua krang-gon nee. Won't forget the dreams we had before this. gee deuan gee bpee chan gor mai-leum. No matter how many months or years, I'll also not forget. (Won't forget, won't forget, won't forget.). Kor piang-dtae ter yaa pler leum gon (yaa leum yaa leum yaa leum). For my part, I certainly would never forget. (Never, would never forget.). yang jam rot waan an seung saan jai. Still remembers that bits of sweetness that's deeply diffused throughout my heart. Will never be bored with it and change my heart and forgets. doot-deum piang nee reu pee ja leum. I'm profoundly engrossed with just this, or I'll forget. Mai-leum mai-leum mai-leum mai-leum mai-leum mai-leum). (Won't forget, won't forget, won't forget. Won't forget, won't forget, won't forget.). mai leum mai-leum san-yaa tee-koie pook-pan. Won't forget, won't forget the promises that we had ever bond together. 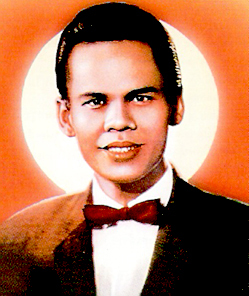 waa rao song kon ja krong man-maai. That the two of us will intend to have each other. got kor gan dtaai mai klaai jaak-gan. To embrace each other; till death we won't release and be seperated. dtraap sin chee wan chan gor mai-leum. Until the end of time, I won't forget. Song Title and video: Vithaya Pansringarm. Oh mY God!!! I'm not even joking, I listened to this song for like a month straight non stop and was even brought to tears and would constantly sing it in broken Thai. I wanted to know the lyrics so bad I even offered to pay to have it translated. I had the urge to listen to it again tonight (over and over), and decided to do a lyric search again, and low and behold, you have answered my prayers. Thank you so much, both you and Vithaya Pansringarm. That man seriously changed my life, and you've now helped to improve it even more. Thanks you so much again and again.